César (Eduardo Noriega) slips between dream states in the film remade in 2007 by Cameron Crowe as Vanilla Sky. The original (and far better) version is set in Madrid. César finds himself driving through a mysteriously deserted city, and it’s on Madrid’s main shopping street, Calle Gran Via at Calle de los Tudescos, that he gets out of his car wondering what's happened to the world. When he accepts a lift from the desperate girl he knows as Nuria (Najwa Nimri), she suicidally drives the car off the road a little south of Ronde del Sur at Entrevias. The ‘hospital’, where César learns his face is beyond repair and is given a mask to wear, is Faro de Moncloa, Plaza de Moncloa, on Avenida Reyes Catolicos. 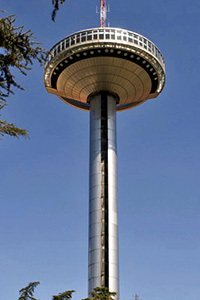 It’s actually a transmission tower and, though it has an observation deck, this is no longer open to the public. 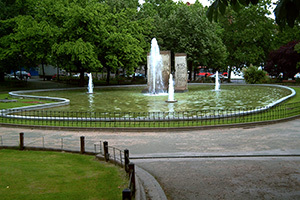 The park, where César meets with mime Sofia (Penelope Cruz), is Parque de Berlin. The fountain, which you’ll find at the northeast corner, is Fuente Principal (Main Fountain), which displays three sections of the old Berlin Wall. 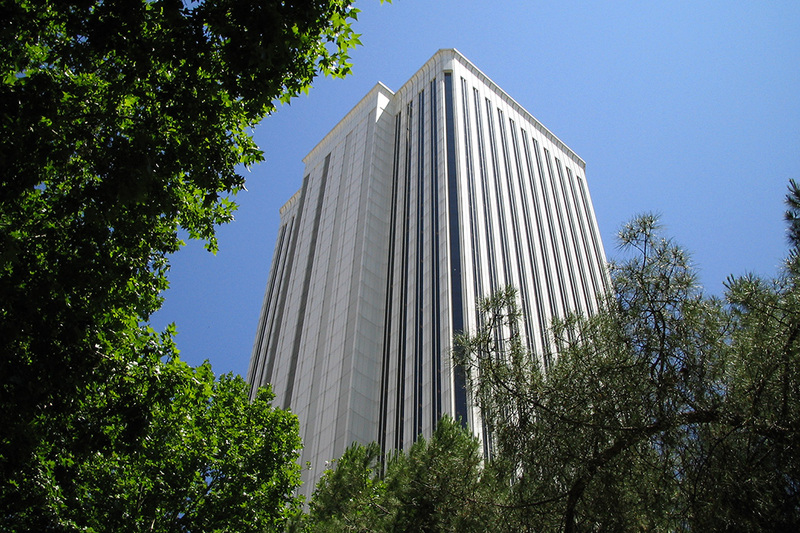 The ‘Life Extension’ highrise, atop which César has to choose which version of reality he believes, is Torre Picasso, Plaza de Pablo Ruiz Picasso, Tetuan, which for a long time was the tallest building in Madrid. The film was remade by Cameron Crowe in 2001 as Vanilla Sky, with Penelope Cruz again, and Tom Cruise.